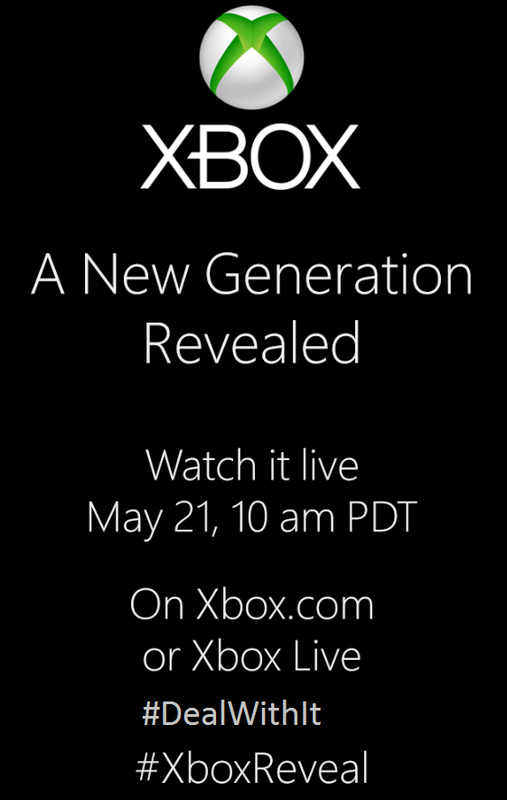 The next generation of consoles is coming in 2013. Technically, the next generation is here, but it’s embarrassing and Nintendo doesn’t want to talk about it. Sony announced the PlayStation 4 along with most of the details necessary for the gaming community to start salivating as well as a release date of “holiday season 2013.” And now the final (major) player sent out an announcement for the next generation Xbox reveal. Microsoft’s next generation Xbox, codenamed “Durango” and rumored to be “Xbox 720” is the last console to be announced, but it is arguably getting the most attention. Yes, everyone is talking about the new girl next door and all her specs, but the rumors regarding the 720 (what I’ve decided to call it) have not let up. Some of the speculation became so hot as to boil over into an upper Microsoft manager being fired. It is quite enjoyable to see the beginnings of the latest battle in the console war take shape. Microsoft is in a great position to strategically outmaneuver Sony and it will be interesting to see how they handle each of the strategic categories I will cover. Always on – this would be strategic suicide. No one wants this. I used to be neutral on this point, but I have turned to the negative. Microsoft should not require gamers to always be connected to the internet to play games. Routers and modems break, the internet goes out, and the wires get dug up and chewed on by the dog. Don’t do it. On that point, second-hand games. Should Microsoft kill off second-hand games? Sony and Microsoft are playing the corporate version of Chicken. No one wants to be the first to say their company is shutting down the used game market, but someone has to do it. However, the first console to admit to doing this will catch the most flack while the other can quietly slip into the club. I am a firm believer that the second-hand/used game market should be shut down. I touched on this idea before in an article I co-authored; money should go to the developers, not Gamestop et al. 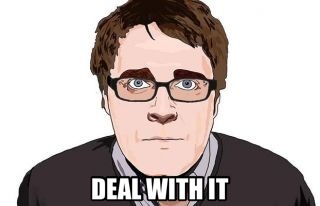 [I can be a grammar nerd] And I say this with sly humor with a touch of sarcastic reality: Deal With It. Developers should be clamoring for this as they need any revenue they can get and gamers should welcome it so developers have additional resources to produce more content. This would also provide a more recurring revenue stream for developers since they can reduce the games’ prices the further it is from release and still bring in sales.On a rabbit trail, Gamestop should be working their strategic asses off to develop a deal with developers to create a semi-second-hand market for next generation games. If they want to keep this as any part of their revenue stream, it would be wise to sign some overarching deal of sorts where they would pay developers their rightful royalty to any of the games Gamestop sells second-hand. I think Gamestop is in trouble for many more reasons, but at least they have other business lines. Backwards compatibility – Sony established that the PS4 will not be backwards compatible; will Microsoft do the same? There are many sides to this question. Hardware wise, a whole new system will make it difficult to be backwards compatible, especially if Microsoft does it right and puts out some quality hardware. It is a difficult thing to do – we all witnessed the backward compatibility fiasco that was Xbox 360. On the other hand, gamers want backwards compatibility. Who wants to buy a new system with very few games available when the current consoles have thousands? The 720 will have a huge leg up on the PS4 if Microsoft makes the 720 backwards compatible. Make the 720 something that can easily be coded on. There is a shift occurring in gaming – the coming of the casual gamer. This trend is mated with the coming of the independent developers. Just look at Journey winning Game of the Year at GDCA. Many of these indie games are on the PS3 platform exclusively even though the Xbox was meant to be a haven for these types of games. Microsoft should bend over backwards to gain the trust and, most importantly, games of indie developers. This is the future of gaming. Make Kinect awesome. Make it magical. Make it something people would buy not because of the gimmick factor but because it is something we cannot game without. Create a contest for developers for the best implementation of Kinect and see what happens; two categories: indie and bigbox. Also, include it with every Xbox starting at release. Do not call it the 720. I know, I, along with most of the game industry media, am already guilty of doing this, but I am tired of all this spinning and ending up exactly where we were. It is representative of a hamster wheel – working very hard with absolutely no progress. This is not the type of marketing Microsoft should desire in their product’s name. Take a cue from Apple’s marketing and call it: the new Xbox. Have a formidable lineup of launch titles. Microsoft absolutely must get this right with a quick launch after announcement. Microsoft could do some amazing things with the next generation Xbox, but will they? With their track record, it is difficult to predict what will actually happen. I look forward to the 21st to find out. Let me know your thoughts on the next generation of consoles. Also, I love point and counterpointing in the comments. You can also find me on the social networks below. PS: I do not own a PS3, but did own a PS2. I migrated to Xbox for two reasons: Halo and the PS controllers hurt my hands after 20 minutes of gameplay. The PS4’s controllers look like they may be more ergonomically pleasing for me.